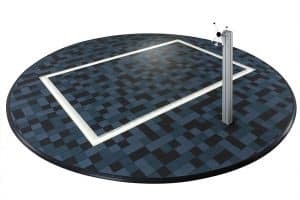 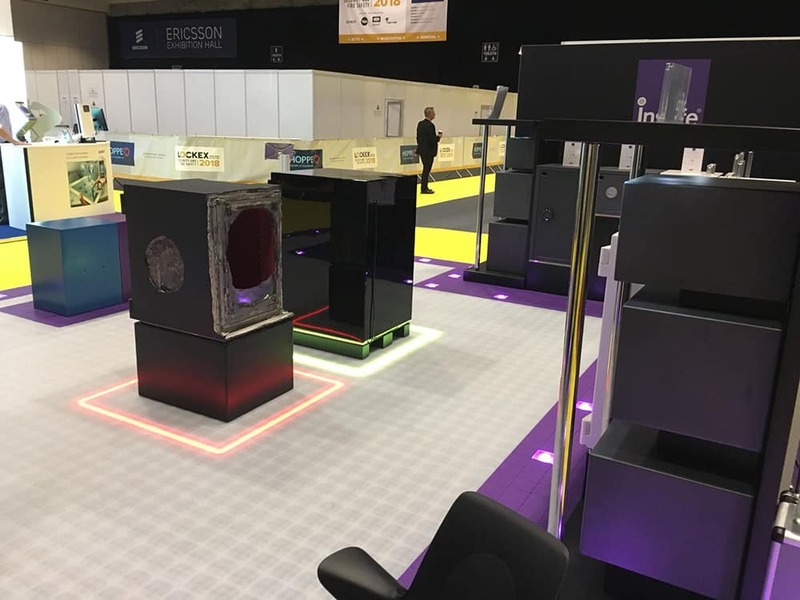 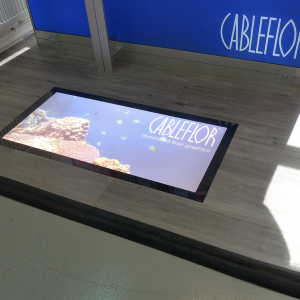 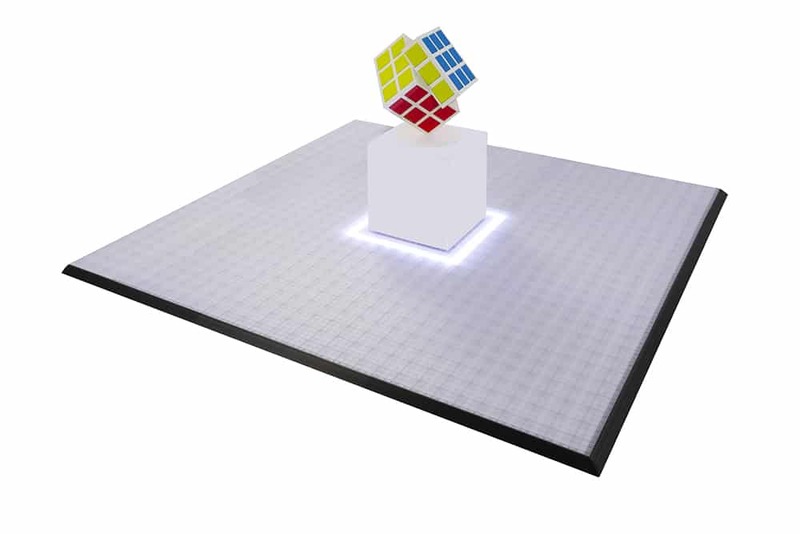 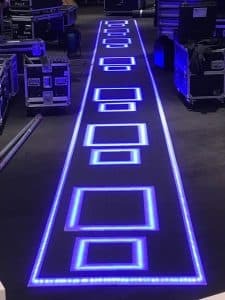 The light-track can be inserted anywhere into your flooring to create lines of light and are very effective at highlighting plinths or products. 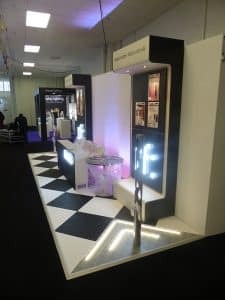 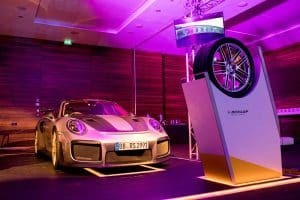 The lights can be a basic static white or we can supply programmable coloured lights if you need to match a particular colour – motion is a good way of attracting attention or directing footfall, so you can also set the programme to blink or chase using a remote control (or download the app to your phone). The lights are fitted inside an aluminium track with an opal diffuser, powered by a transformer and supplied with a PAT Test Certificate. 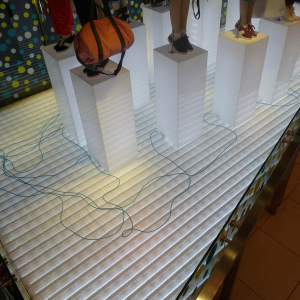 Floor light-track is a useful way of highlighting product plinths or different zones. 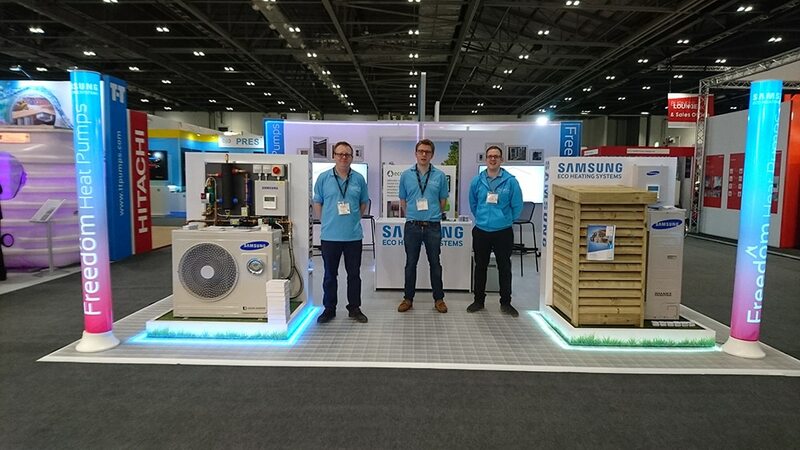 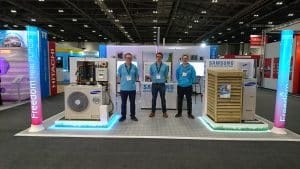 In addition, you can use it to help direct footfall at busy events and exhibitions. 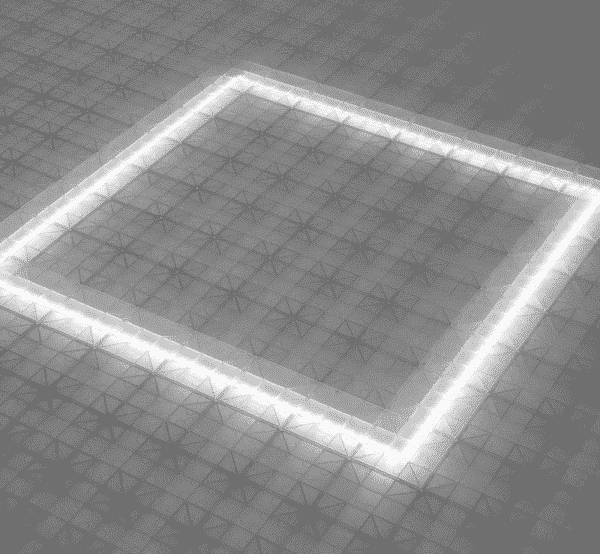 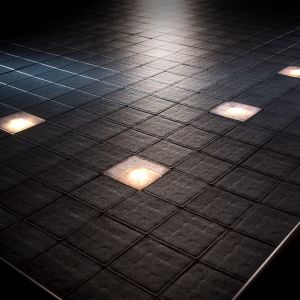 The lights are safely under the floor, so there are no trip hazards. You can connect them to a controller if you want to create some motion – a great way of catching the eye! The underfloor light-track can even be used for emergency lighting for events.